The Borough of Lansdale engaged Delta in 2011 to advance the Borough’s Madison Lot Redevelopment Project, a transit-oriented development (TOD) project proposed for an underutilized parking lot located beside the Lansdale SEPTA train station. Working closely with the project team, Delta assisted the Borough in moving this $51.9 million redevelopment project from its planning stages to construction. Delta not only managed the RFQ process to select a private developer, but also assisted the Borough in bringing several other key stakeholders to the table – making this project a true public-private partnership. Today, major stakeholders include PennDOT, SEPTA, private developer Equus Capital Partners, and the Lansdale Parking Authority.﻿ To support development, Delta also secured $3.3 million in grant funding for the project.﻿ Scheduled to go to construction, this $51.9 million TOD project will feature two mixed-use buildings with retail/commercial on the ground floors and residential units on the upper floors along with a public skateboard park and a pedestrian walking trail. Susquehanna Health, located in Williamsport, Lycoming County, is one of Pennsylvania’s largest nongovernmental employers north of Interstate 80, with over 3,000 employees and a total economic impact of $800 million per year. As a Regional Referral Center, the Williamsport Regional Medical Center had not undergone major facility work for the past 20 years and was faced with the challenge of inadequate space, aging facilities, and out-of-code components. 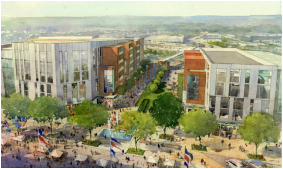 As a result, Susquehanna Health created a Master Plan called Project 2012 to expand its three hospital campuses and develop a strategic energy plan. Over the past few years, Delta assisted Susquehanna Health in requesting and securing $17.5 million in public funding from three different state funding programs to support Project 2012. Awards included $12.5 million through the Infrastructure and Facilities Improvement Program (IFIP), $1 million through the Pennsylvania Energy Development Authority (PEDA) for a cogeneration unit, and $4 million through the Redevelopment Assistance Capital Program (RACP). CAN DO, Inc., is a nonprofit economic development corporation serving the Greater Hazleton region in Northeastern Pennsylvania. 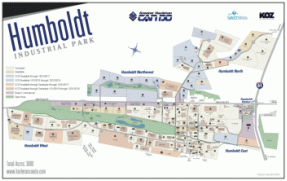 As one of the largest business parks in the Commonwealth, Humboldt’s growth over the past decade has resulted in the need for major transportation improvements in order to mitigate traffic congestion. Delta assisted CAN DO in securing two grants totaling more than $1.2 million, through Pennsylvania’s Multimodal Transportation Fund (MTF). Project activities included grant writing and a communications strategy to support favorable review of the grant requests. ﻿The City of Chester is one of Pennsylvania’s most disadvantaged cities. 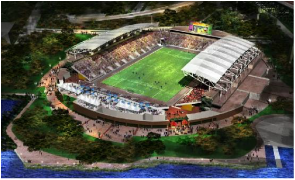 To spur urban revitalization, the City undertook a $414 million mixed-use waterfront redevelopment project that would include a Major League Soccer (MLS) franchise stadium accompanied by office, retail, and community open space. Delta worked closely with the project team to implement a $49.1 million public funding strategy. With almost a dozen public funding programs utilized, Delta applied critical resources to every aspect of the project to support tens of millions of dollars in private investment. With the project complete, Chester is now home to PPL Park, a state-of-the-art 18,500-seat MLS stadium for the Philadelphia Union.